A wetland at Thomas Creek Conservation Area in Duval and Nassau counties. 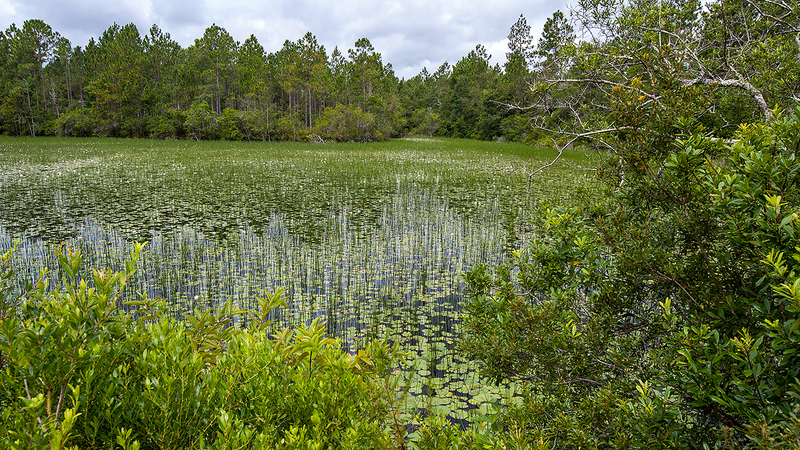 PALATKA, Fla., April 10, 2019 — The St. Johns River Water Management District has published its Annual Wetland Activities Report, showing that 449,135 acres of wetlands have been created, protected, enhanced or restored by the district since 1989. This is equivalent to more than 700 square miles of wetlands. The report was presented at Tuesday’s Governing Board meeting and provides a cumulative summary of wetland impacts, mitigation, restoration and protection activities within each county served by the district. Each of the state’s five water management districts develop and distribute an Annual Wetland Activities Report. 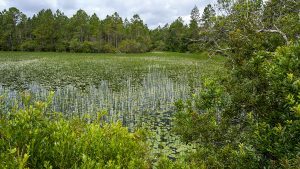 St. Johns River Water Management District programs use a variety of methods to protect Florida’s wetlands, including permitting, mitigation, land acquisition and conservation easements. For example, about 190,000 acres are under regulatory conservation easements, which allow the district to work with permittees to preserve land and protect water resources. To view the full report and learn more about protecting wetlands, visit www.sjrwmd.com/education/wetlands/.